If you’ve ever seen a children’s book that has no words, just pictures, you may have wondered how to even go about “reading” it. How can you read a book aloud to a child when there is no story? Ah, but there is a story! The illustrations tell the story and it is up to you and your child to come up with your own narrative. Share the pictures together and use imagination and good observation skills to see the plot. Look for the beginning, middle, and end to this story–the sequence of events. Ask questions and soon your child will be asking questions about the pictures too. Take your time and really look at the illustrations. Your child may see little details in the pictures that you miss. Wordless picture books are perfect for read-aloud and can be adapted to many levels of understanding. Model storytelling and talk about the emotions of the characters in the book. Can your child imagine how the characters are feeling? Together, predict what will happen next. You will be stretching your child’s thinking and using the pictures to expand your child’s vocabulary. March is National Read-Aloud Month and a great time to practice reading wordless books aloud as part of the “Books are my Super Power” Read-Aloud Challenge! Take a look in the Read-Aloud Tool Kit and you’ll find a pledge you can take to read aloud to your child every day and activities and books lists to download to make read-aloud even more fun! “Pancakes for Breakfast” by Tomie dePaola. In this humorous book about a little old lady’s attempt to make a pancake break- fast, dePaolo tickles the funny bone and gives a lesson about optimism and persistence. Children can make predictions about how this heroine will use her Super Power of Determination to finally have a pancake breakfast! “Flotsam” by David Wiesner. When a young boy goes to the beach to collect and examine the typical objects that wash ashore, he discovers something unexpected–a barnacle-encrusted underwater camera. Children delight in this imaginative exploration of the mysteries of the deep. “The Lion and the Mouse” by Jerry Pinkney. This wordless picture book is the well-known Aesop’s Fable about a tiny mouse and a mighty lion. Children will see the themes of kindness, trust, and friendship in the beautiful illustrations. “Good Night, Gorilla” by Peggy Rathman. A zookeeper says goodnight to a gorilla, but the mischievous gorilla is not ready to go to sleep. He follows the zookeeper around, letting all of the other animals out of their cages, before following the zookeeper to his bedroom and getting into bed. It takes the zookeeper’s wife to ensure all (or nearly all) the animals return to their cages. The first weekend of June ushers in better weather in Ithaca and roads less congested with student vehicles. It’s time to celebrate the beautiful place we call home with picnics, baseball games, gardening, and of course the Ithaca Festival. We have many things to be proud of in our community, including top notch children’s book writers and illustrators. There isn’t space to list all the authors and illustrators here, but you can find more, including authors who write exclusively young adult (YA) books listed at www.familyreading.org at the bottom of the Great Ideas page. Find out more about each of these local talents online and enjoy their wonderful books! Michael DeMunn: author of “Places of Power” and “The Earth is Good” both about the power of the earth and discovering our own inner strength. Rachel Dickinson: resident of Freeville and travel, science, and children’s book author. Her books include “Tools of Navigation” and “Tools of the Ancient Romans” about inventors and the way they changed history. Minfong Ho: author of the children’s books “HUSH! : A Thai Lullaby,” “Peek! : A Thai Hide-and-Seek,” “Maples in the Mist,” “Brother Rabbit,” and “The Two Brothers,” as well as author of four novels and many published short stories. Her books are often set in south east Asia. Ruth Stiles Gannett (Kahn): Trumansburg resident and author of the “My Father’s Dragon” trilogy that is beloved by children across the globe. These stories are adventures starring the young boy Elmer with his backpack full of tricks helping him as he meets the animals and dragons of magical places. What would your family pick as the very best children’s storybook? What about the very best illustrations in a children’s book? It’s hard to choose, isn’t it? But the American Library Association does choose each year and gives awards for what they decide is the best in American children’s and young adult books published the year before. This week the winners of two of the most well known awards were announced. 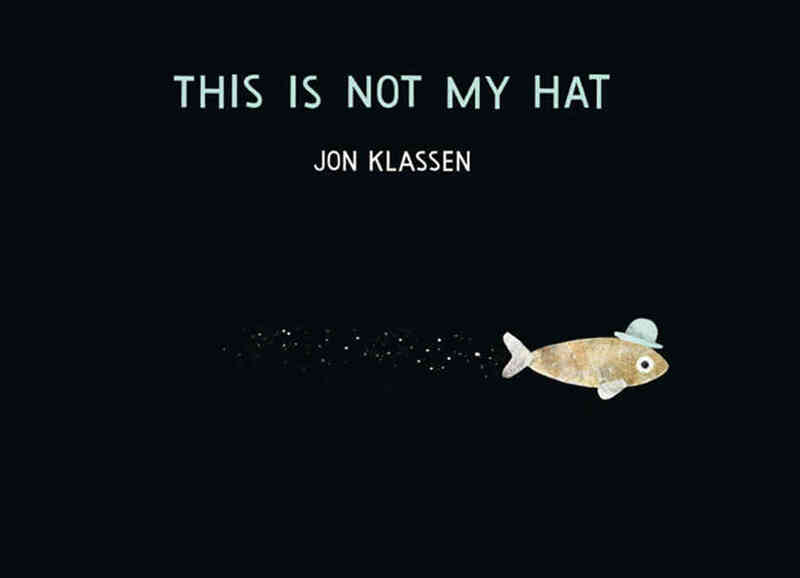 For best illustrations, Jon Klassen was awarded the 2013 Randolph Caldecott Medal for his book “This Is Not My Hat,” published by Candlewick Press. For best story, the 2013 John Newbery Medal went to Katherine Applegate for her mid-grade children’s book, “The One and Only Ivan,” published by HarperCollins Children’s Books. This year is the 75th anniversary of the Caldecott Medal. Starting with the first award given in 1938 to Dorothy P. Lathrop for her illustrations in a book by Helen Dean Fish, one illustrator has been honored each year since for his or her creative representations of stories for children. 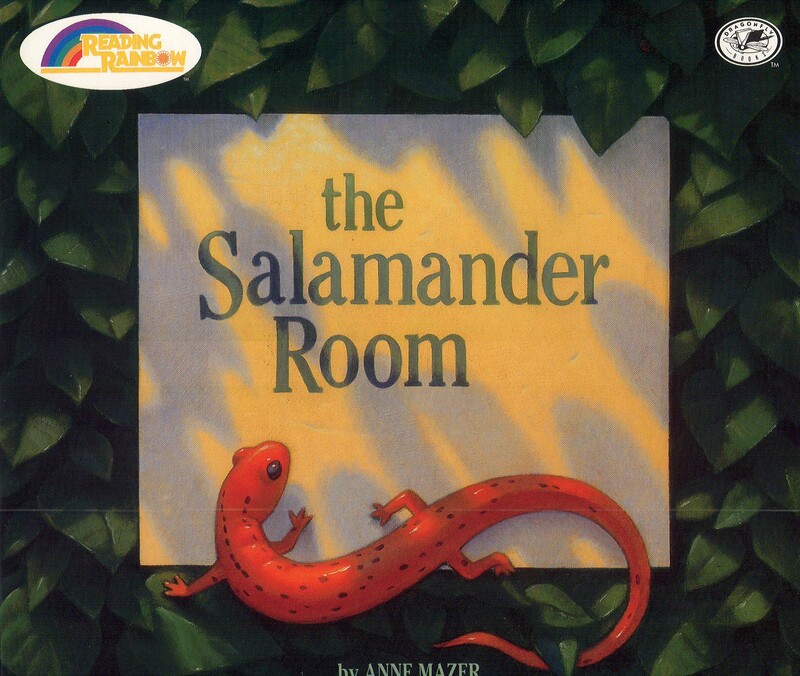 The round, bronze Caldecott seal is added as an embossed sticker to the cover of a book when it has won the award. The medal almost guarantees that the book will never go out of print because bookstores and libraries will always want to have these award winners on their shelves. The image on the Caldecott medal is from an illustration by 19th century artist Randolph Caldecott. It pictures a man on a runaway horse with squawking geese, barking dogs, and astonished people in his wake. 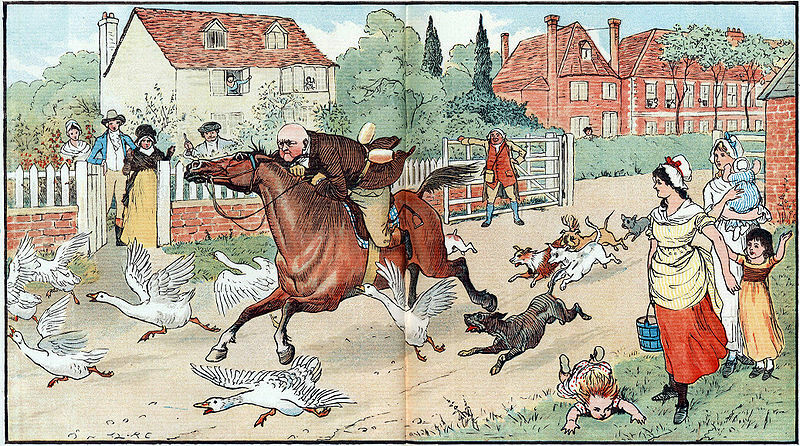 Caldecott’s etchings were unique compared to other illustrators during his time because they showed humor and action, and so, this medal for most distinguished pictures in a children’s book bears the Caldecott name. 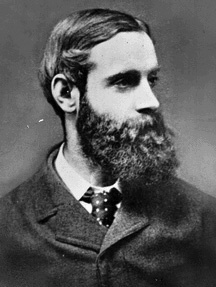 A portrait of Randolph Caldecott, his book illustration, and the Caldecott medal with the image from his illustration. Looking at past Caldecott winners such as “A Ball for Daisy” by Chris Raschka (2012), “A Sick Day for Amos McGee” illustrated by Erin Stead, text by Philip Stead (2011), “The Lion and the Mouse” by Jerry Pinkney, (2010), “Grandfather’s Journey” by Alan Say, text edited by Walter Lorraine (1994), “The Polar Express” by Chris Van Allsburg (1986), and “Why Mosquitoes Buzz in People’s Ears” illustrated by Leo and Diane Dillon, text retold by Verna Aarmedma (1976), the style of illustration winning the award has varied tremendously. It seems like each year the book that is awarded a Caldecott medal is chosen especially because the art is so very different from past years. 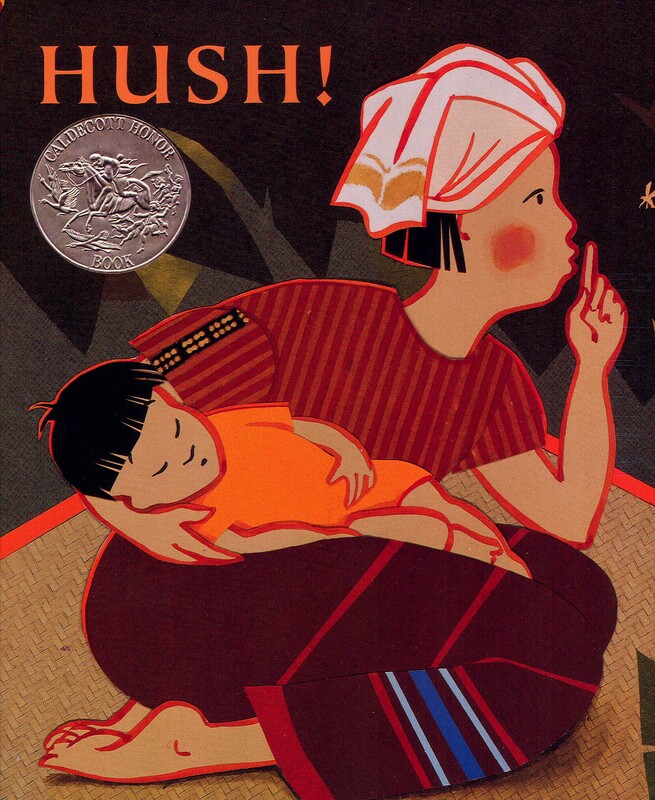 See what you think when you look at some Caldecott winning books. Remember that the story of a Caldecott winner isn’t judged; only the illustrations are under consideration. The best story in children’s books is awarded the Newbery medal. Along with the Caldecott and dozens of other children’s literature awards given annually by the American Library Association, librarians, teachers, and parents have the choice of reading a lot of winners!